If you want to enjoy a smooth moving home experience, you will need to carefully plan every single step of the process and find the right materials with which to pack your items, as well as a way to safely transport them to your new house. Go Tenancy Cleaning can certainly give you a hand with that. Once everything is planned, our diligent movers will arrive at your house in a time that suits you best and load your furniture pieces and personal possessions onto our fully-equipped and GPS-navigated moving vans and trucks. We will then quickly and safely transport your belongings either to your new home or to our safe storage facility. 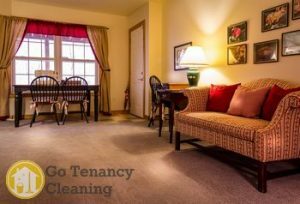 To make things even easier for you, Go Tenancy Cleaning is qualified and properly licensed to provide you with top notch additional services. On the day of your move or before it, we can send you our skilled packers who will secure and wrap all of your possessions and ensure you enjoy a risk-free transportation service. Also, you can opt for a professional end of tenancy cleaning service in London and our dedicated and incredibly experienced team will shine your house using eco-friendly detergents and cleaning solutions. It is estimated, that London is the most heavily populated city and urban area in the EU. Even more fascinating is the fact that the English capital was also the most populous city in the world between 1831 and 1925. With over 300 different languages spoken on its territory, London is a true melting pot of cultures and ethnicities.